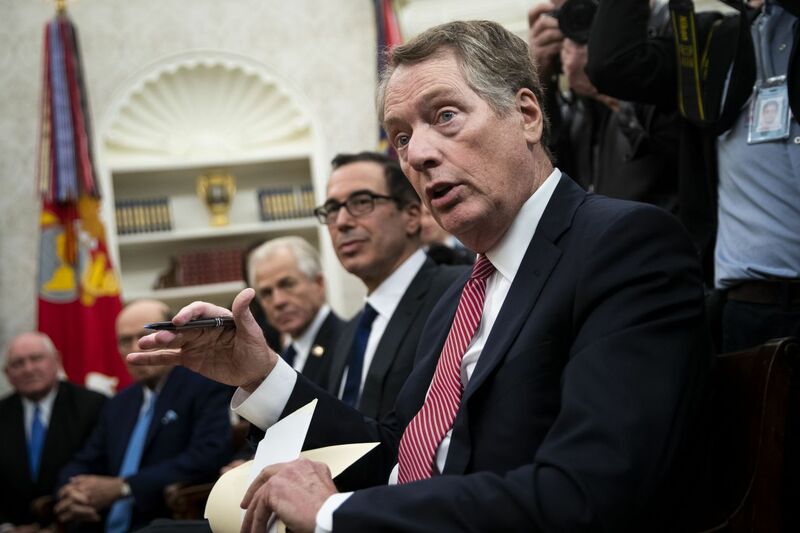 WASHINGTON—The U.S. is dispatching its chief trade negotiator, Robert Lighthizer, and Treasury Secretary Steven Mnuchin to Beijing early next week to continue trade talks as a March 1 deadline to reach an accord nears, a senior Trump administration official said Tuesday. The senior official also said President Trump hasn’t yet committed to meeting Chinese President Xi Jinping—a shift from Mr. Trump’s comments last week. “I’ll be meeting with President Xi, maybe once and maybe twice,” the president said during an Oval Office meeting Thursday with China’s top trade negotiator, Vice Premier Liu He.